The Faculty of Aerospace Engineering offers students the opportunity to go abroad and study at a foreign partner university as part of their BSc or MSc programme. An international experience as part of the study programme is highly valued these days and therefore greatly encouraged by the Student Exchange Office. Not only is studying abroad a great personal experience, it also enhances students’ communication skills, independence and self-confidence. Click on the map below and find out about our partner universities (AE faculty or TU wide) in your country of interest! If you are a TU Delft student and want to find out more about practical matters such as application procedures, VISA, financial matters and housing, please click below. More detailed information can also be found on our Brightspace pages for course AE3060 (BSc students) and AE5060-II (MSc students). If you are an Incoming Exchange Student coming from abroad and you want to study at TU Delft, please click below for more information on application procedures, fees and services. Click here if you need more practical info about studying abroad. 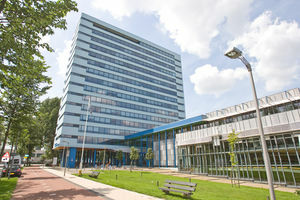 Click here if you are coming from abroad and want to study at the TU Delft. Find the contact details of the Exchange Office here.